It is trite to say the Ekiti July gubernatorial election was obnoxiously characterised by many oddities, before, during and after. The alarming scales of those oddities constitute an effective threat to Nigeria’s less-than 20-year-old democracy. 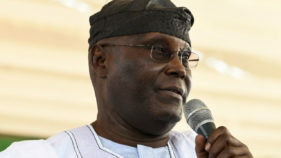 When those oddities are taken along with the ongoing uncouth harassments of defecting and would-be defecting politicians by Federal Government agents, patriotic Nigerians and the international community should be very concerned about the fate of the Nigerian state as she approaches the 2019 general elections. 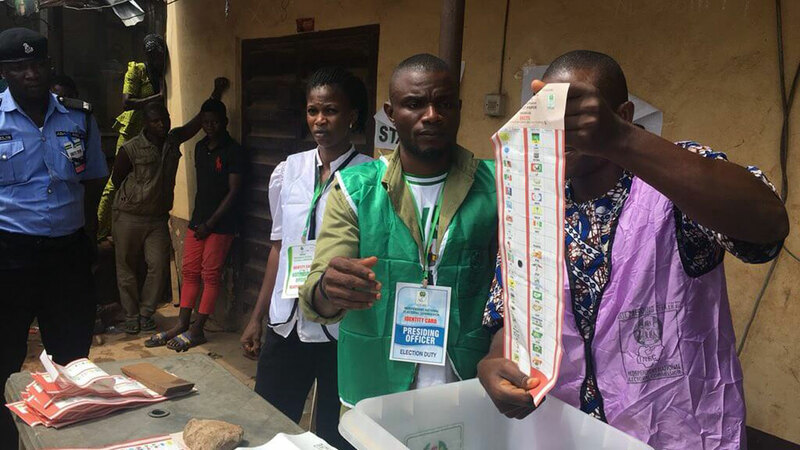 We shall briefly return to the 2019 elections in concluding, but for now let us consider the essentials of the Ekiti election announced results. According to the Independent National Electoral Commission (INEC), the All Progressives Congress (APC) candidate, Kayode Fayemi, received 197,462 votes; while the Peoples Democratic Party (PDP) candidate, Kolapo Olusola, received 177,927 votes. 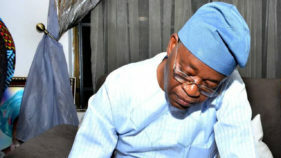 The APC candidate was therefore declared winner by 19,000-odd votes. INEC’s returning electoral commissioner of that election also declared that there were 18,000-odd invalidated votes. (4.5% voided votes; how does this figure compare with extant statistics?) As someone used to working with randomly generated numerals, it immediately struck me as odd (another oddity about that election) that the winning votes-differential was just one notch above the invalidated votes. Thinking about this at once made the unlikely scenario of the seeming populist incumbent governor, Ayodele Fayose, losing his Ward, writ large – yet another oddity. Playing the devil’s advocate is not a major past-time of mine, so I had initially chosen to keep the aforesaid observations to myself. But INEC’s curious delay in releasing the Certified True Copies (CTCs) of the election results to the protesting PDP candidate, suggested to me that my gut feeling that the announced results were purpose-specifically generated, may not be entirely off the mark. INEC’s unfolding body language in the matter has grave implications for the 2019 elections. If INEC fails to convincingly produce a free, fair and credible election in Ekiti state, then that electoral body as presently constituted automatically loses the moral authority to officiate over the 2019 general elections. Indeed, as many commentators had suggested prior to the July 14 election, the Ekiti election is a veritable signpost of what lay ahead of 2019; it is therefore incumbent on every Nigerian of electoral age to insist that INEC lays bare all the facts about the Ekiti July election. It would be a costly mistake to view this issue as a mere dispute between the country’s two leading political parties. The issue goes far beyond that; the issue is about the very soul of Nigeria. If democracy could be allegedly so raped with millions of Nigerians helplessly looking on, it would mean evil has ultimately triumphed over good in our country. The historical importance to protect the world’s most populous black democracy has never been more pressing than in the present. An eminent gathering in Abuja highlighted that dire need few weeks previously. 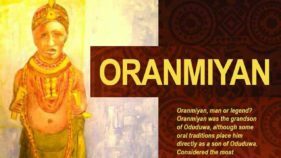 Nigeria’s socio-cultural groups, comprising the Afenifere, Arewa Forum, Middle Belt Forum, Ohaneze, and PANDEF converged to discuss the future of Nigeria – an enlarged and extended 2014 Confab? A day following that grand gathering a communiqué was released, unequivocally stating the gathering’s collective position on the sensitive topic of political restructuring, and its resolution to adopt a consensus candidate for the 2019 presidential election. Half-expectedly, the Federal Government was discomfited by that communiqué. The next day, a presidential spokesperson, Garuba Shehu, rather unconscionably referred to that assemblage of accomplished elderly Nigerians as self-seeking persons; therefore, “…Nigerians should ignore them,” he was reported to have said. The news report left one wondering at which Nigerians the presidential aide was addressing. The Nigerian nation is subsumed in those socio-cultural groups which the presidential spokesperson has asked Nigerians to ignore – the seeming obfuscation is negatively pregnant. At the time of writing this piece a visibly distressed Governor Samuel Ortom of Benue State was on national television calling on his fellow compatriots to rise up and defend Nigeria’s noxiously threatened democracy. Barely 48 hours subsequent to his defection from APC to PDP, suspended Speaker of the state House of Assembly issued a statement purporting to have secured the assent of seven other members to issue impeachment notice to the governor. All defenders of constitutional democracy swiftly reacted to that unmitigated assault on democracy. Hot on the heels of this were reported impeachments in Kano, Imo and elsewhere; one thus gets the eerie sense that both APC and PDP have been simultaneously bitten by defection and impeachment bugs, not a laughing matter. As darkening clouds quickly gather over Project Nigeria, our fervent prayers are that these very mobile clouds, as is regrettably often the case, do not transit to torrential rainfalls. But more crucially, Nigerians must be united in demanding that the Ekiti July gubernatorial election materials be examined with a fine tooth-comb, focusing more on the voided votes. This should serve as an assurance of sorts that the 2019 general elections will be free, fair and credible. Nkemdiche is an engineering consultant; wrote from Abuja.